Go for laidback style with a touch of glitz. 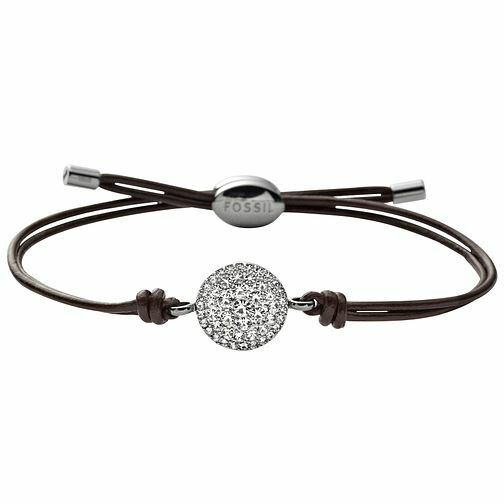 This adjustable leather bracelet is styled with a crystal set stainless steel disc for an utterly glamorous edge. Fossil Stainless Steel Crystal Set Leather Bracelet is rated 5.0 out of 5 by 1. Rated 5 out of 5 by Anonymous from Amazing gift. My partner is very happy with her bracelet. It's simple but beautiful and eye catching. Also can be worn at any time.